On this page you will find land for sale on offer in Ubud, to go to the page of the plot of land of your interests, click on the picture or the button "more information". Beautiful plot for sale nearby Ubud. 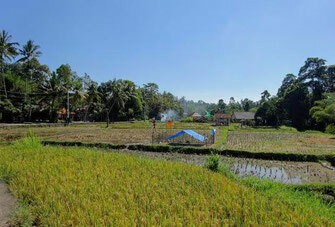 This land has a valley along one side and rice paddies along the other side. Quiet area and still nearby the center of Ubud.